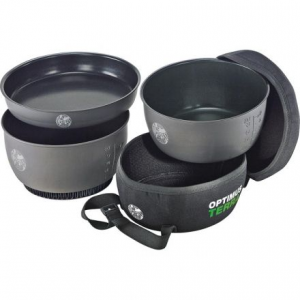 Optimus Camp & Hike Terra Xpress HE Cook Set-Grey/Green 8019745. 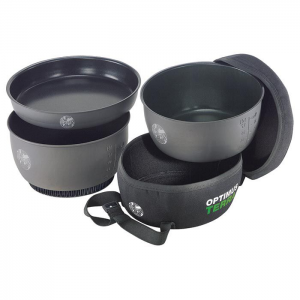 The lightweight Optimus Terra Xpress Pot with a non-stick coating won't load you down but its large capacity means you can cook enough to stoke your fires for tomorrow's peak-bagging scramble. Butterfly handles fold down snugly against the pot to eliminate the jigsaw puzzle in repacking but promise stability when handling your hot meal. You can watch the pasta simmering (if you dare) with its handy see-through lid and then drain off water with the built-in strainer too. Also included is Optimus' cute little BOB sponge for practical scratch-free cleanup. 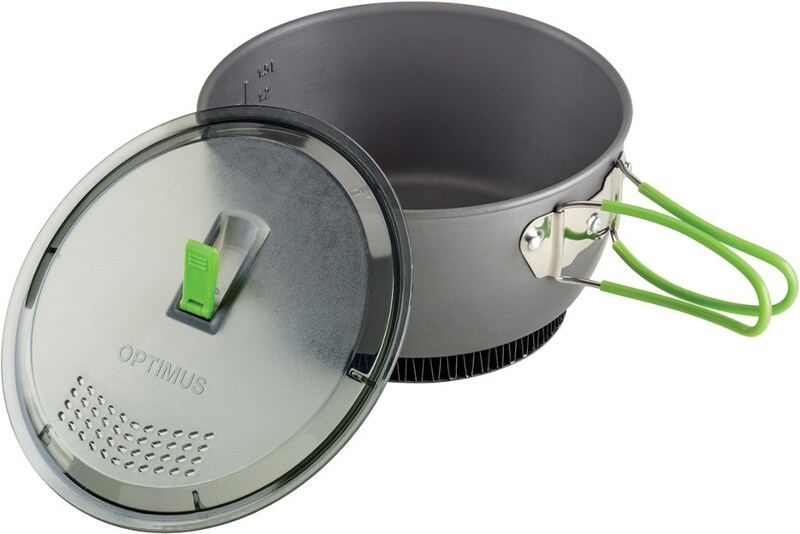 Cook backcountry breakfasts and campfire feasts with the help of the Optimus Terra Xpress HE Cookset, featuring Heat Exchanger technology to help you save fuel while cooking your masterpiece meal. 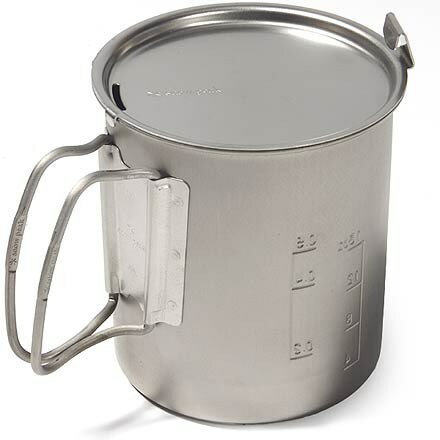 You are a no-frills kind of camper, and all you need to get through a weekend of camping is a single pot. 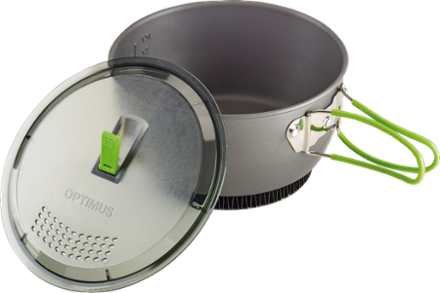 The Optimus Terra Xpress HE Cookset is the pot you need for hiking deep into the woods or plopping your tent down right next to your car. 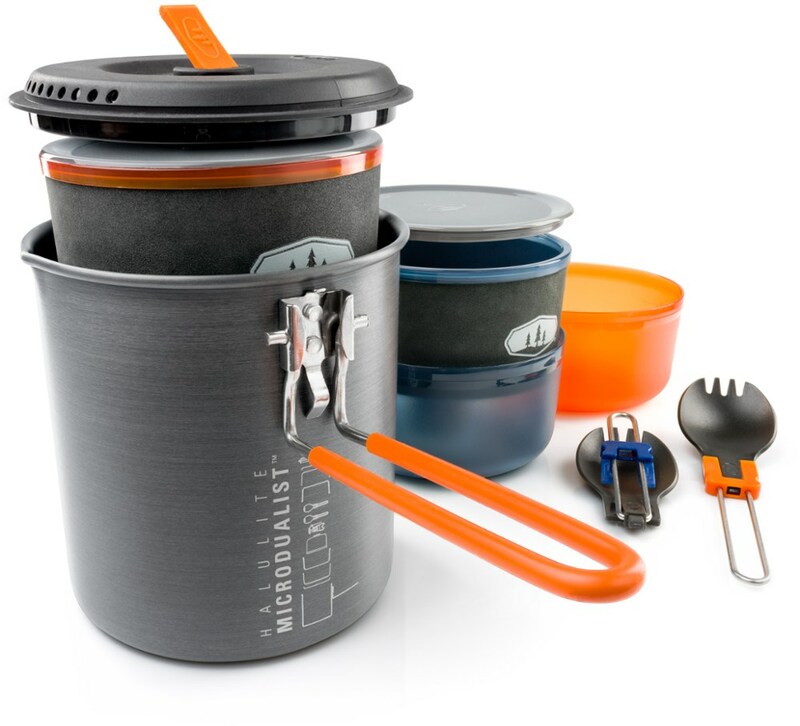 Its lightweight aluminum construction minimizes weight in your pack or space in your car, and transfers heat efficiently so you can get water boiling quickly. 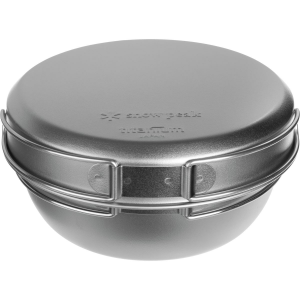 It comes with a transparent lid so you can see what you're cooking, and a BOB sponge so you can clean up afterward.